Brazil is making a big name for itself in the online world. Massive growth in the last few years has seen Brazil become a genuine leader – sometimes referred to as the most gregarious, and frequently, as one of the most connected nations on the Cyber-Planet. It’s with Social Media that Brazil is really making its mark. 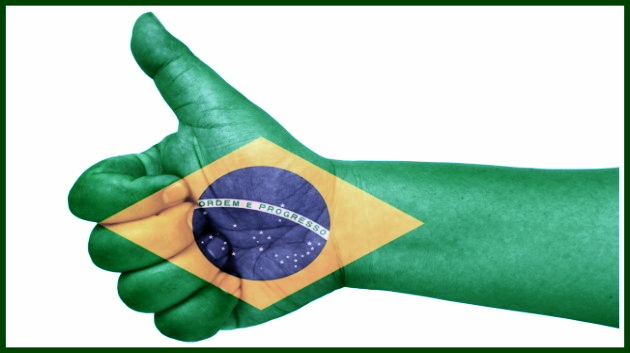 Brazil now has over 66m Facebook users, more than any other country apart from the US. In terms of Facebook activity (posts on pages) Brazil leads the world. Beyond the numbers is the real-world impact. For, example, you’ll have heard of Rio’s Carnivals. But not many people know that Facebook, Twitter and Foursquare provide much of the means to organise, promote and celebrate them, enabling people to share costumes and themes. In such a large country, Social Media has emerged as more than a means of connecting people. Have a look at some of the insight out there. Social Media is well and truly trending in Brazil. And it’s a trend that continues to outpace much of the rest of the planet. We looked at the Facebook presence of Brazil’s largest institutions. Universidade Metodista de Sao Paulo (26,000 students) has about 18,000 Facebook followers (Dec 2012). If we compare this with the HE and social media world in the UK, then there is little difference. In fact, many equally sized UK universities struggle to come close to Sao Paulo’s ‘fanbase’ size. The disclaimer to add here is that the Sao Paulo engagement levels are significantly impacted by its sports teams – very much like in the US (where some universities use their college teams to bolster numbers to as much as 366,000 at Texas A&M). Aside from the sports influence there is significant activity with the types of posts, the ‘likes’, ‘shares’ and ‘comments’ typical of a good UK university Facebook presence. Examples include linking live, on-the-ground activity and its impact – with links off into related courses and open days. Social media, and notably Facebook, is a key part of HE communication in Brazil – for student recruitment, current cohorts and alumni – and is very much in line with the pace of change in the UK and other well established HE markets. Within this development is the emergence of a new authentic voice for communication – the students themselves. As with the UK and the US, watch out for user-generated reviews, rankings and insight from the student population of Brazil. Watch out too for how institutions embrace this and work with student teams to transform the way that the universities reach out in the future.